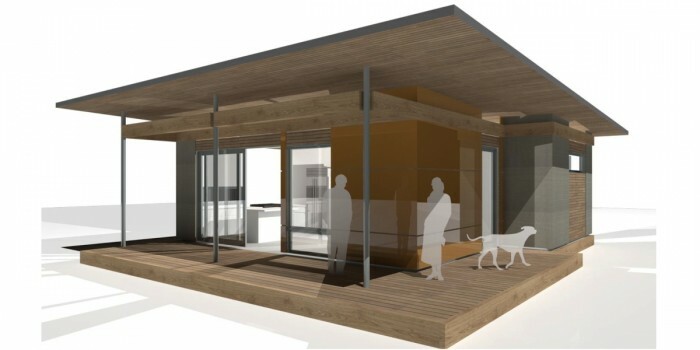 The Waskesiu by Karoleena is a prefabricated modern, two bedroom, two bathroom single family home. At 729 square feet, the home offers simple living as a small primary home or vacation property. The floor plan features full-width wrap around decking with roof coverage. This covered deck space is accessible by sliding glass doors located off of the central living and kitchen space. Inside the home, the open concept living, kitchen space offers a small central island with seating for two. 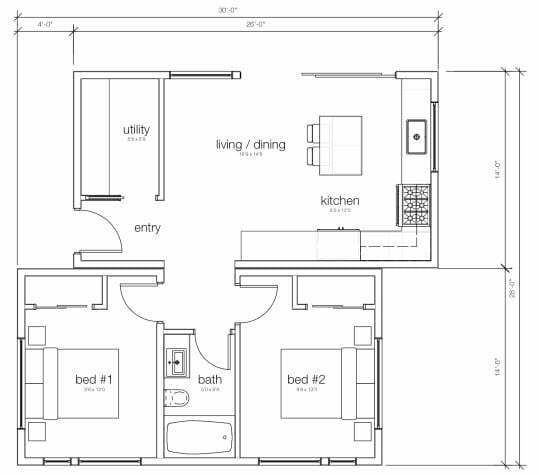 The home has two bedrooms which share a single full bathroom.